This is one of my favorite months for food history!!!!!!!!!! 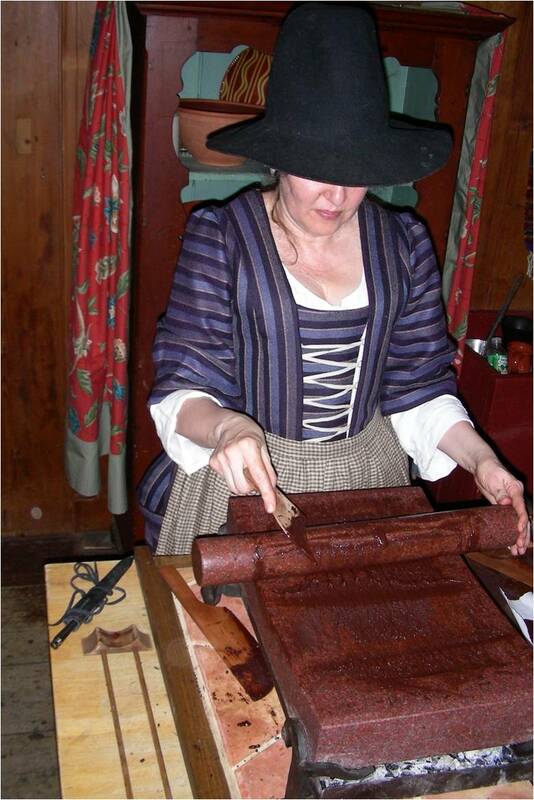 With Valentine’s Day in this month, I do many chocolate programs-workshops, power point lectures, and demonstrations. The chocolate lecture-Chocolate-From Cacao Bean to Chocolate is fun with every audience of all ages. I research primary references, roast cacao beans and process the different types in chocolate and try many many authentic, historic receipts (recipes) using the 100% cacao chocolate. But in addition, I have to go to the source. My goal was to visit cacao plantations in Mexico and I have been there. I was part of a ten day research tour that was specifically studying the Mayan usage of cacao. We gathered the achiote, visited cacao plantations , and participated in Mayan cacao rituals. And most importantly I brought back many pictures and information to share with audiences. And if one of these chocolate events does not fit in your schedule, you might want to consider a lecture for one of your organizations or even a workshop! For more information, visit my website at www.hearttohearthcookery.com and click on the lecture tab.